Kim Loy is the Director of Technology and Communications at Vanderbilt Industries. Kim has previously served as the Vice President of Global Marketing – Video Line of Business at Pelco by Schneider Electric. 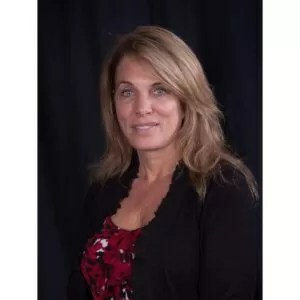 She has more than 20 years of marketing and management success within the security and surveillance industry, and has worked in the capacity of VP of Global Marketing as well as General Manager of the Security Business Unit for Xtralis. Kim has also held senior management positions with G4S and GE. We recently sat down with Kim to get her take on a range of topics varying from cyberattacks, vulnerability testing, IoT security, and smart cities. Kim, first, great to meet you. Thanks for taking the time to sit down with us. No problem at all. It is my pleasure to be here. To start off, one of the interesting things in the security industry in recent years, is the emergence of cyberattacks and the real threat that they pose. There have been several high-profile cases – the 2015 Ukrainian power grid attack, the 2016 WannaCry attack, to name a few. What do these recent high profile cyberattacks mean for physical security? Well, with more connectivity over the internet, IP physical security systems can be vulnerable to attacks. Hacking an IP security system can take place through a variety of forms, some being quite simple. So, for example, in a brute-force attack, a hacker just “guesses” passwords. Given that most people choose easy-to-remember passwords, many of these can be deduced through simple algorithms. Another standard method of attack is a Denial-of-Service. Here the offender attempts to overload the system by flooding the target with excessive demands that prevent legitimate requests from being carried out. This effectively makes it impossible to stop the attack by blocking a single source. But here’s where best practice becomes so important, and from this point-of-view, vulnerability testing is a must. We always incorporate this into the development phase of products from day one onward. This thought process includes analysis of the type of cyberattacks that can potentially attack, breach, and disable a system. You then have the option to try and hack your own product from within the organization or hire a third party professional group to attempt to do it for you. Believe it or not, the most obvious low hanging fruit is to target people. This opens the door to the “weakest link” possibility that can uncover vulnerabilities such as lack of authentication and encryption, and weak password storage that can allow attackers to gain access to systems. I mentioned previously about weak passwords. Most hacks come down to human error whereby weak passwords, or clicking on contaminated email attachments, will expose an organization’s security. Hackers have also been known to target contractors and wait until they go on-site for scheduled maintenance with their infected laptops. I actually read a statistic recently, and it said the top three sources of infection were the internet, USBs, and email attachments. If you remember back to 2014, the attack on a German steel mill, it was a spear-phishing email that was used in that attack. They then gained access to the plant’s network through the infected email attachment. What all this suggests to me is that the success of these non-complex methods would indicate low levels of awareness about how cyberattacks are in fact carried out. Kim, this has been fascinating and thank you again for your time. Any final thoughts before we finish? You’re most welcome. I guess I would just finish by reiterating that with cybersecurity, you must act every week. It is not something where you can say, “we’re safe, we’re secure, let’s forget about it.” Every time you release a product or release an update, you must centralize your mindset on cybersecurity. Vanderbilt’s fundamental way of approaching this issue is to stay in the mindset of assuming someone is currently trying to attack one of our systems. Another thing to mention is, people have a misconception that vulnerability announcements are a terrible thing. On the contrary. They can andshould be viewed as a positive thing. Having an environment within the industry of open disclosures only means that we can learn from mistakes, we can see how hackers are attempting to breach systems, and ultimately, it can help us stay ahead of the curve. Finally, when system vulnerabilities are reported, it just means that vulnerability testing down the line will improve; that bar will continue to rise. So, by that I mean, look at what happened in the IT industry. Customer demand sparked the change to deliver robust security protocols, which the manufacturers then implemented. Now companies like Microsoft and Apple openly fix software vulnerabilities on a regular basis, and no gloss is taken off the prestige of their brand for doing so, because this is what the consumer now expects and wants from these software giants. This is the same mentality that needs to be adopted by security manufacturers.